Chuck has performed with musical legends such as Tom Jones, Henry Mancini, Wayne Newton and Engelbert Humperdinck and conducted orchestras for top names such as George Burns, Bob Hope and Bob Newhart. Chuck was Gordon MacRae's musical conductor and arranger for eight years and conducted the Exile Orchestra for the ABC television miniseries "Amerika." He has been the featured keyboard artist for Chip Davis' "Music of Mannheim" show and conducts the Mannheim Steamroller Orchestra on its Christmas tour. PANDA Productions has created original music for film scores, records and hundreds of commercials. Chuck has also produced the rock musicals "Lucifer" and "The Count That Counts." Active in civic and professional organizations, Chuck has chaired the Lincoln Film and Television Commission and the Lincoln Alliance. 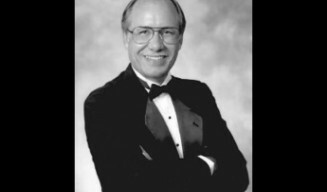 He has served on the board of the Lincoln Musicians Association.